A shopping guide with upscale art for bathrooms for under $100 based on linear figures, architectural sketches, vintage advertisements, sky/water/landscapes, abstract paintings, and botanicals. Apparently, I have art on the brain this week. 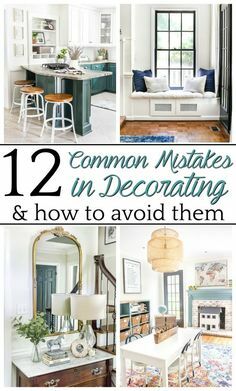 Between dressing up our upstairs hallway’s walls and planning out the final details on the master bathroom refresh lately, we’re down to the finishing touches. 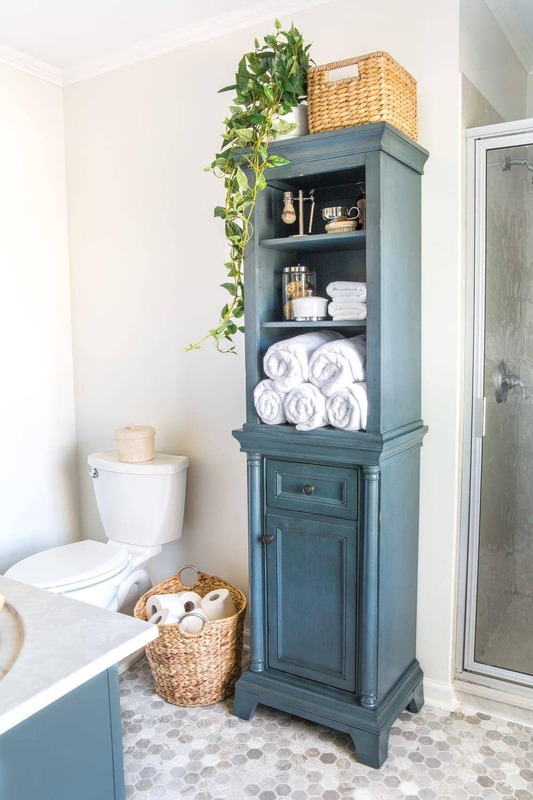 Remember how we hauled in a linen cabinet and this space finally started to look like a bathroom again? And as usual, we like to look like we’re fancy around here without actually shelling out big bucks for real upscale luxury art, especially in a bathroom where only Robert and I will see it anyway. But also… the important thing about bathroom art is to avoid eyes staring at you. Because that can get weird when you’re doing your bathroom thing, am I right? 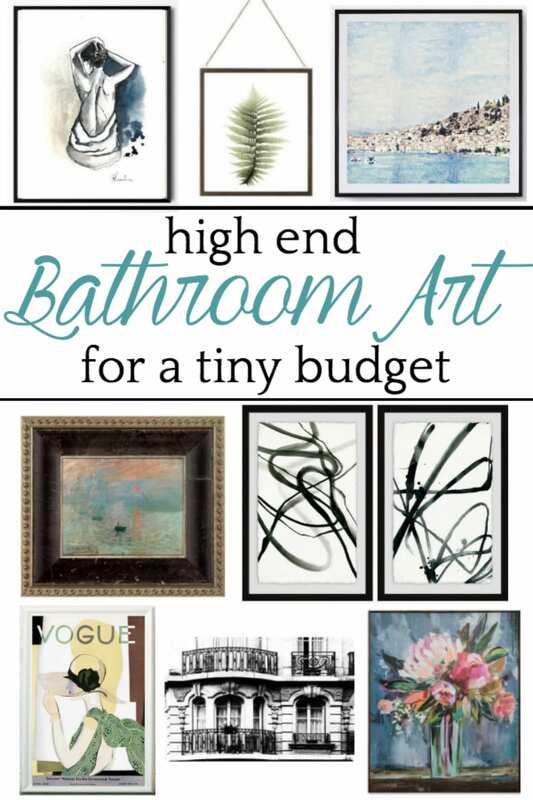 If you’ve ever drawn a blank on what to hang in your bathroom, I’ve rounded up some of my favorite art for a high end (non-bossy) look for little budgets. Art like linear figures, architectural sketches and photographs, vintage advertisements, landscapes, waterscapes, skyscapes, abstract paintings, and botanicals for non-kitschy art that doesn’t stare at you while you’re doing your business. I hope it helps! 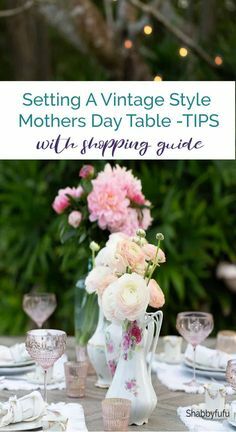 Just click on any image in the gallery below. Very nice, Lauren. You know what else would match your cabinet nicely? Van Gogh’s ” Almond Blossom” print. Check out the beautiful color. You always pick a winner! I would be drawn to adding some color….the Blue/green “Pebbles” and the abstract beneath it are interesting…Can’t wait to see the finished product! That said, I love the seascapes for a bathroom. I’ve used some in my home. 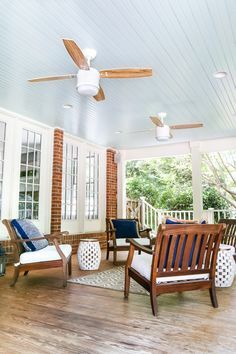 Give me anything in blue and I am a happy girl! !